Following its investigation on the halal monitoring by control organizations in 2008 and 2009, and its French Muslim consumers’ survey in 2010-2012, the association ASIDCOM has decided to focus this piece of research on traditional halal butchers. One goal is to understand the operation of the halal butchers to obtain more quantitative data and to provide tools so that the Muslim consumer has a better understanding, whether currently informed or not. Another objective was to open a dialogue between representatives of Muslim consumers and those responsible at the “halal” butchers with respect to the issue of halal criteria, especially if stunning is used or not. This in-depth inquiry also aims to encourage consumers to go further in their demands for a halal product warranty, including not accepting "my butcher told me that it is halal, then he alone is responsible "... But rather to closely look at the multitude of halal definitions that may be used and be sure the definition meets the Muslim consumer’s requirements. The ASIDCOM survey of the Lille region’s traditional halal butcheries was conducted in three steps. The first step was to interview via a questionnaire the traditional halal butchers, the last participant in the supply chain for halal meat for Muslim consumers. The questions, which are found in an annex contains questions focused for the butchers on their halal products and on their relationship with Muslim consumer issues. The use of a questionnaire allowed us to gather specific information from a number of butcheries with the possibility to quantify the data. The questionnaire is completed on site in the butchery by one of its leaders. 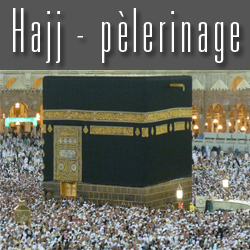 This field survey was conducted by a group of experienced volunteers knowledgeable about the halal issues in France. They were also independent of the local halal meat markets. Note that there was no questionnaire sent by mail or electronically. In the absence of a leader or manager, an appointment was made to return at another time to undertake the interview. At the initial contact, the head person may have expressed more or less distrust and some persons refused to answer because of fear that the information would help the competition or gave other justifications. The second is product quality and halal warranty proposed by butchers to their Muslim clients. Finally, ASIDCOM was interested in the working conditions of the Muslim butchers in the French context. 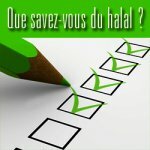 The list of the Lille region traditional halal butcheries was obtained via the website Societe.com. This allowed easy access to official information from the National Register of Commerce and Companies (SNCR) (public official data). Further research has been done through sites found through community guides. 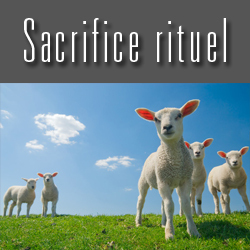 A total of 95 butchers, located in four municipalities (41 in Lille, Mons 3 in Baroeul, 7 in Villeneuve d’Ascq and 44 in Roubaix), were selected. But it should be noted that 32 butchers among them have ceased operating or transferred their business. The list of 37 butcheries that have been surveyed is in this report’s annexes. The second step was devoted to directly contacting butchers’ wholesalers. The list of these companies was collected from the questionnaire data. A letter was sent to each of these wholesalers to request them to meet with an interviewer. Then the letter was followed-up with a phone call. This allowed us to both do visits and obtain information using the telephone. The third step was to organize a meeting with the various butchers, local leaders of Muslim community and representatives of contractors’ union to present the results of the survey while highlighting the negative points and suggested ways to improve the situation. 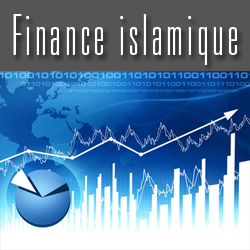 The results and findings of this survey are the subject of this report and freely being made available to halal stakeholders, especially consumers in the Lille region and more generally in France. We Thank Professor Joe. M. Regenstein for his input within this ASIDCOM’s study.